As society grows older, so do the neurological problems associated with aging. These can be new neurological deficits due to the aging process itself, or the effect of aging on already existing neurological conditions. Neurologists will spend increasing amounts of time managing patients with age-related neurological complications. 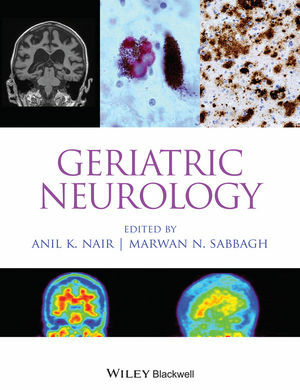 Comprehensive in scope but with practical focus for effective patient care, Geriatric Neurology provides top-of-class guidance for the management of elderly patients with neurological disorders. Anil K. Nair, MD, Director, Alzheimers Disease Center, Quincy Medical Center, Quincy, MA, USA. Neurology, University of Arizona College of Medicine, Phoenix AZ, USA.